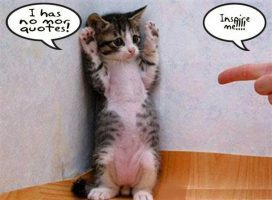 Inspiration from a cat? – CPA Theatricals, Inc.
GIRLHOOD, my most recent project, is a song cycle musical that tells the stories of middle school girls as they experience the challenges of daily life from middle school through high school. Through interviews with girls, I have developed seven central characters that will be featured in the show along with a large ensemble. Recently, I was stuck on two characters. I knew what they were about, how they looked, what mattered to them, what drove them, how they treated others, etc. But, I could not figure out how they connected or how to bring them into the larger story. I sat with this dilemma for a while, then, I started telling others – asking about their thoughts. Really, I was looking for inspiration. Looking for plausible examples of what would drive these characters’ actions. What was I missing? I volunteer at my local yoga center – I do their bookkeeping and monthly reconciliations – and at lunch, the Swami asked about the new musicals I am developing. I shared with her the outline of GIRLHOOD and then took a deep breath and asked her opinion about these two characters. Without hesitating, she said, “they both are full of fear.” I was taken back. She was able to quickly find a common denominator. Again, I sat with this and let it mull in my head. Hmmmm, if they are both full of fear, how do we connect that in a song or in a scene. Nothing was coming to mind. Then, as I was reading a novel that I’m in the middle of, looking outside for a sliver of an idea, something came to mind. Quietly I worked out how the characters can “come together” and connect in song. Bang – there it was. Inspiration can come from anywhere. It can come when you are looking for it – but mostly it comes to me when I am not looking for it. When I have identified the problem, sat with it and then asked for help. I remember getting a brilliant idea for a book chapter I was writing by looking at my cat! Whether it is a cat or a Swami – inspiration, imagination and creativity sometimes come in the most surprising of places.